Coffee tables with a stylish Chrome base and Beech top in a choice of two sizes. Available from stock and delivered in 7-10 working days. Includes a free UK delivery. 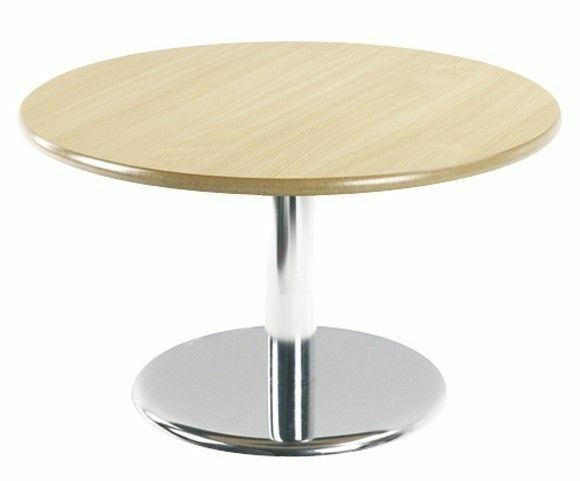 Professional look coffee table to compliment a stylish cafe area. Complete with a smooth edge beech top, delivered across mainland UK free of charge in approximately 10 working days.